This Pololu Mini Maestro Servo Controller features 12 independent channels with 8 KB of script storage. Pololu Maestro Servo Controllers feature a flexible command system for controlling RC servos. Maestro controllers are extremely accurate and well suited for robotics and animatronics. Channels can be configured for RC servos, ESC electronic speed controls, digital outputs and analog/digital inputs. They can also be daisy chained to expand your capabilities while still only using a single serial line. This Maestro can control up to 12 servos. 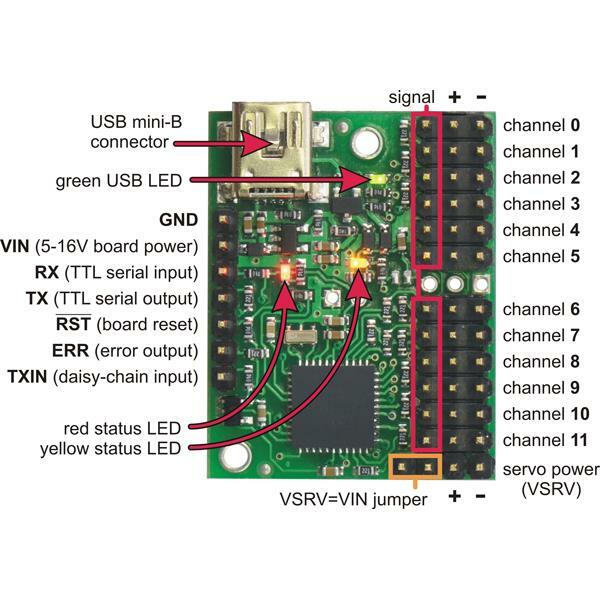 Commands are sent over USB or 5V TTL RS232 using a computer or microcontroller. The Maestro can also be programmed to execute a fully self-contained script to operate autonomously. 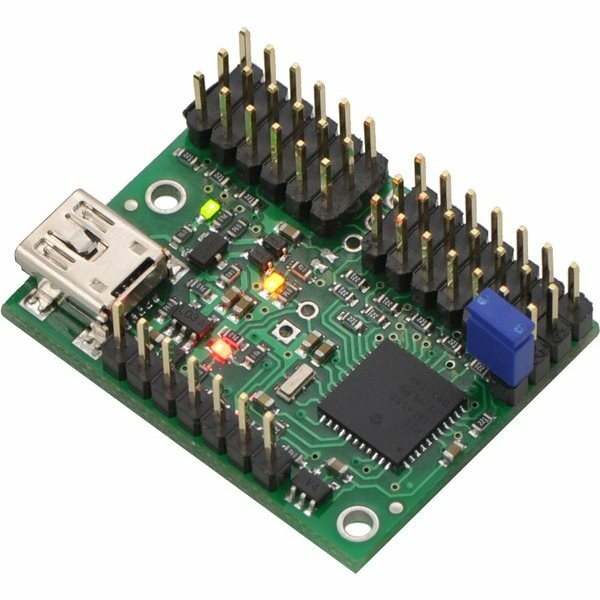 An 8 KB storage area allows up to 3000 servo positions to be played back without the need for an external microcontroller.